Although the roof is one of your home’s most important safety features, it is often one of the most neglected. Many homeowners incorrectly assume that their roof will last forever without requiring any upkeep. Without maintenance, however, the average roof will only last half as long as one that receives regularly scheduled care over the years. 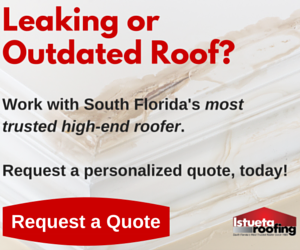 Having your roof inspected at least once a year will help to maintain its longevity. Also, insurance companies want to see that their customers have maintained their roofs over time. Should weather cause damage to your roof, a well-maintained roof within the age limits will lend value to your claim. It is also imperative to stay compliant with your warranty guidelines, which include maintenance. Every roof is different and so are the maintenance guidelines. Factors such as roofing materials, the environment, previous repairs and the age of the roof all need to be taken into consideration. Today we’re sharing some information regarding roof maintenance for different types of roofing. Asphalt Shingles: With asphalt shingles, it is important to inspect flashings and replace missing, damaged, lifted or buckling shingles as soon as possible. Proper ventilation is important on all roofs but can be more harmful to the asphalt shingles that can sustain heat from both the inside of the house and the outside, which can burn up the shingle at a faster rate. Flat Roof: Residential flat roofs benefit from proper maintenance more than any other system and should also be inspected yearly. In general, the life expectancy of a flat roof is proportional to the maintenance performed on it. Special attention should be paid to debris buildup, which can gradually rot the roof membrane or clog drains with disastrous consequences. Metal Roof: Metal roofs are the most maintenance free residential roofing systems the Miami market has to offer. Many decades can pass before any deterioration of a roof panel occurs. Metal roof systems with exposed fasteners should be checked for rotting neoprene washers. Older metal roofs may show signs of rust, pitting or corrosion. Gutters: Gutter cleaning is also important. Gutter covers can be installed to help reduce the amount of cleaning necessary. During inspection checks, a simple problem can be identified and fixed before it escalates into serious damage, saving you time and money that would have been spent on repairs. Especially for an area with highly demanding climatic and environmental conditions such as those found in Miami, roof maintenance is a crucial service.